The Guardian interviews Jane Rogers. Tor.com (Liz Bourke) interviews Sherwood Smith. E.C. Myers interviews Hal Johnson. The Functional Nerds interviews Tim Dodge. My Bookish Ways interviews Paul Tremblay. Suvudu (Shawn Speakman) interviews Terry Brooks. The Guardian (Charlotte Higgins) on China Miéville: Writers should welcome a future where readers remix our books. The Guardian (China Miéville) on the future of the novel. The Guardian (Alison Flood) on Racism row over SF novel about black 'Coals' and white 'Pearls'. The Guardian (Charlotte Higgins) on Social media and online comments 'causing writers to self-censor'. BBC Future on Drake equation: How many alien civilizations exist? Damien G. Walter on Weird Tales editor has insulted us all. Book View Cafe (Sue Lange) on Weird Science: State of the Singularity–Robots. Smart Pop Books (Scott Lynch) on The Son of Skywalker Must Not Become a Jackass. Inkpunks (Erika Holt) on Query Letters, Synopses, and Samples: Tips From Penguin (Canada). The Outer Alliance (Barbara Ann Wright) on And Then I Tripped And Wrote a Lesbian Romance. Missions Unknown (Scott A. Cupp) on Mars Needs Moms (2011). Bryan Thomas Schmidt (Sarah Hendrix) on Setting-why it is important to get it right. Chris Beckett on Where do you get your ideas from? (2). Frederik Pohl on Harry Harrison Dead at 87. Suvudu (Matt Staggs) Take Five with Suzanne Brockmann. io9 (Michael Ann Dobbs) on Young Adult Fiction’s Hottest New Trend: Mermaids? Jim C. Hines on Good Books By/About PoCs. Concept ships by Justin Murray. Digital Artist by Anna Ignatieva. Cover launch: The Mad Scientist’s Daughter. The Enchanted Inkpot (Ellen Booraem) on Characters, Critters, & Gizmos: Middle-grade Fall Covers, Day Two. 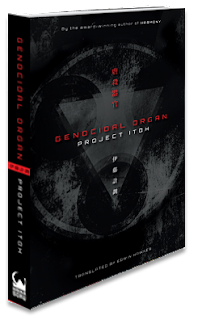 Save 50% on Forthcoming SubPress Titles. 2012 Hugo Awards Livecast Scheduled. Einstein was right: matter is scattered randomly across the universe. Wanna-be Wolverine accused of aggravated assault. 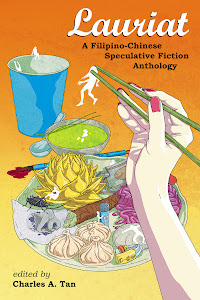 Feminist Spec Fic Anthology–Now Open Through September 7. Ernest Cline, author of READY PLAYER ONE, to appear on G4's “X-PLAY,” on Wednesday August 29th at 6:30/5:30pm CT to award winner a DeLorean complete with Flux Capacitor.